Sussex Sharks will face the Worcestershire Rapids in the final of the Vitality Blast if they beat Somerset in the second semi-final. The Rapids beat Lancashire by 20 runs. Worcestershire were put in by Lancashire and Moeen Ali got the Rapids off to a great start with 41 from 21 balls. But a collapse saw them reduced to 97-6. But some great hitting and inventive stroke play from Ben Cox (55 not out) and Ed Barnard (28 not out) helped them post a total of 169-6. 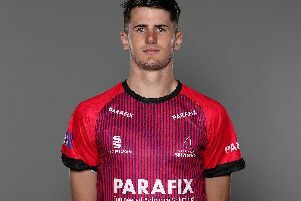 Liam Livingstone (30 from 18 balls) and Arron Lilley (23) gave Lancashire a decent start but Pat Brown produced a superb performance with the ball, taking 4-21 in his four over spell. Keaton Jennings hit a half century but the task of 29 runs from the final over was too much. The Sussex v Somerset game starts at 2.30pm, with the final due to start at 6.45pm.